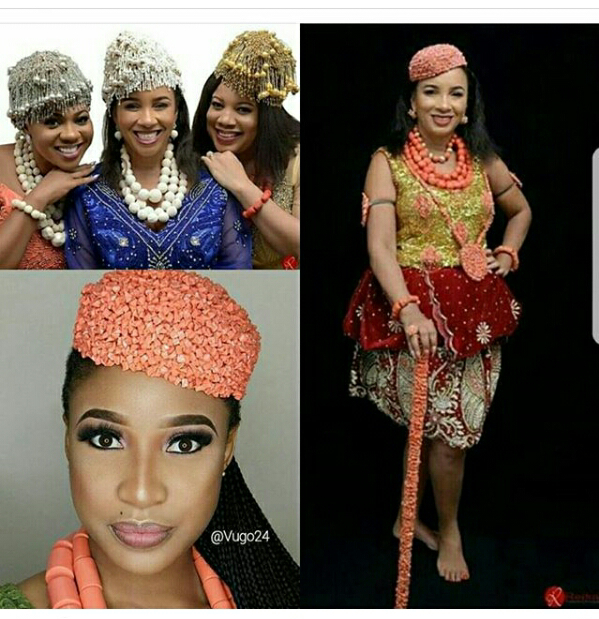 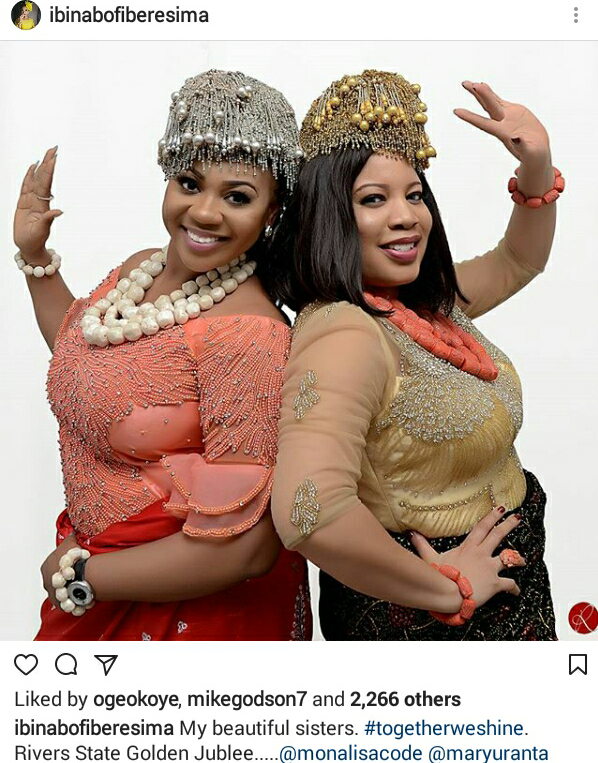 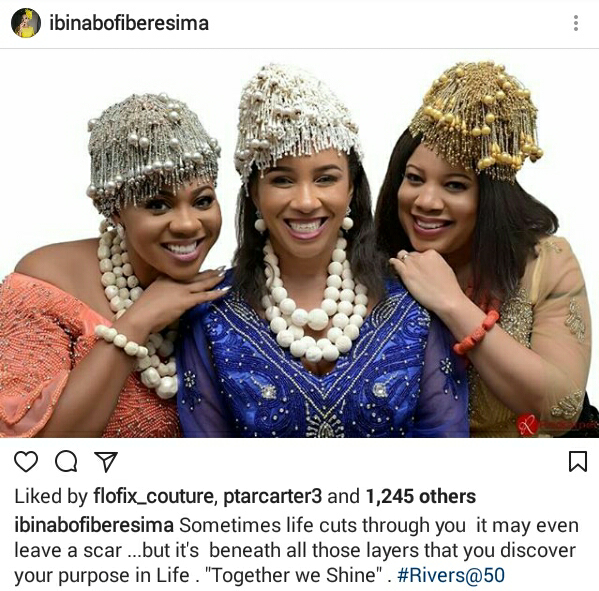 Nollywood Actress Ibinabor Fiberesima shared beautiful photo shoot pictures of herself alongside Monalisa and Mary Uranta on her Instagram page with different captivating captions as they celebrate Rivers state Golden Jubilee, Rivers state @ 50. 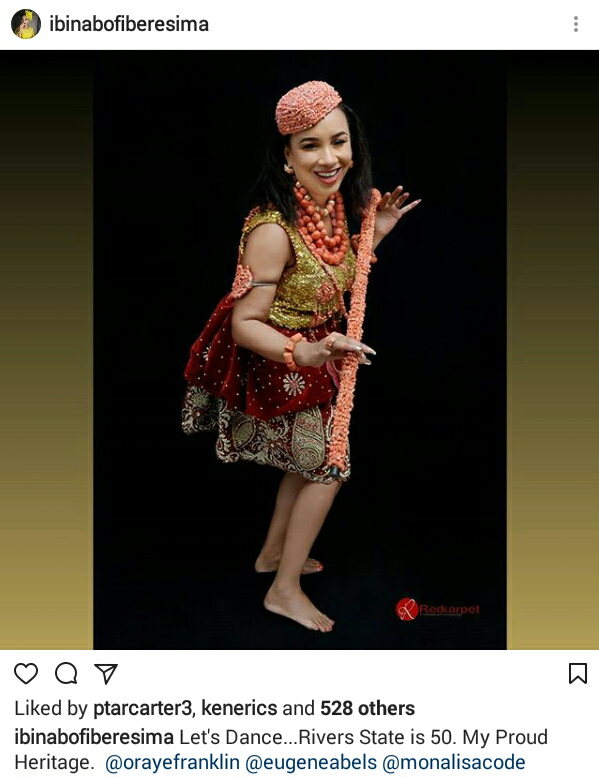 "Sometimes life cuts through you, it may even leave a scar... but it's beneath all those layers that you discover your purpose in life. 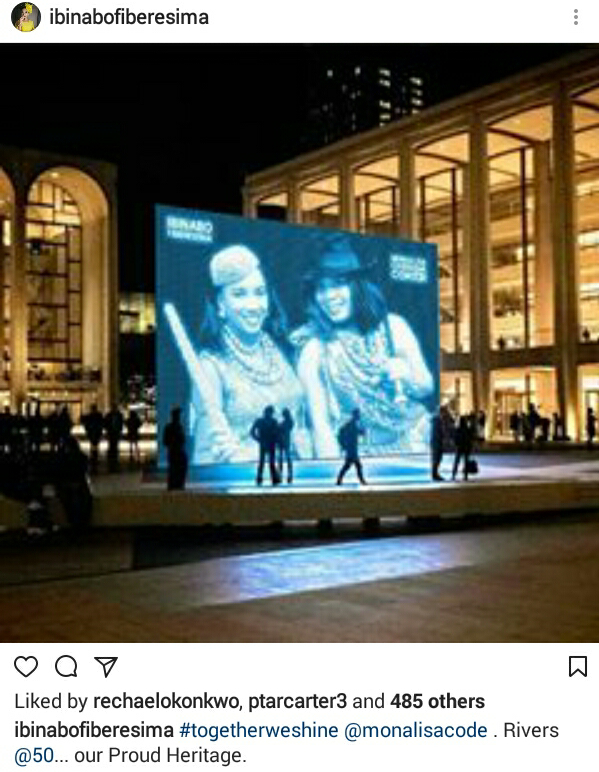 "Together We Shine". 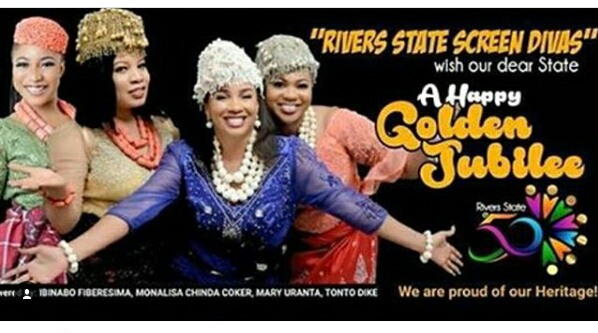 "Lets Dance... Rivers state is 50. 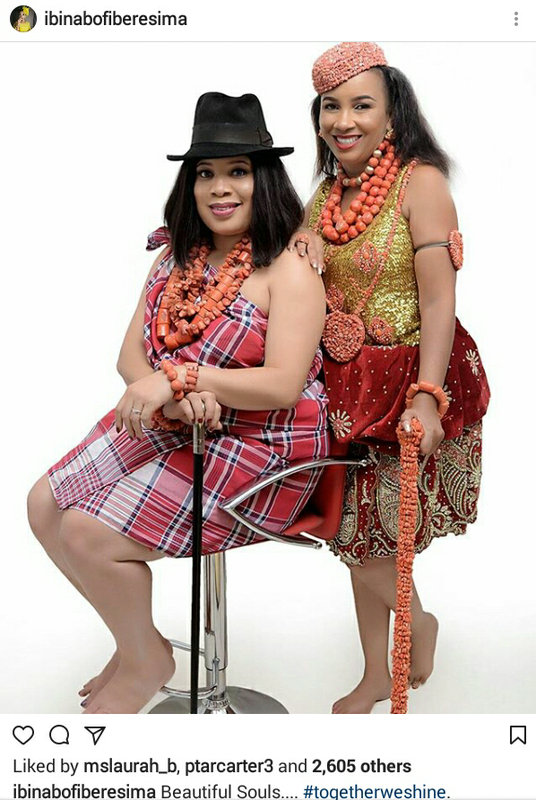 My Proud Heritage." 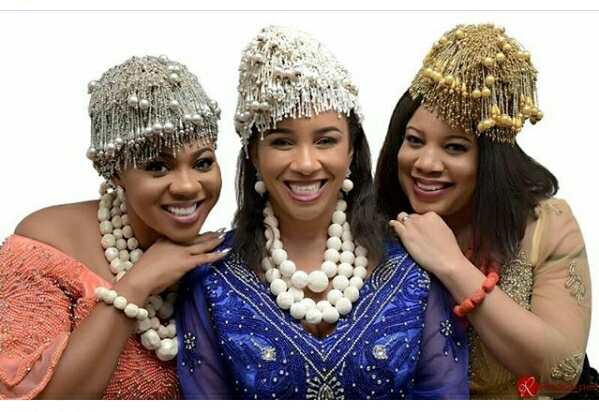 Actress Tonto Dike was not left out as she joined the trio later on.